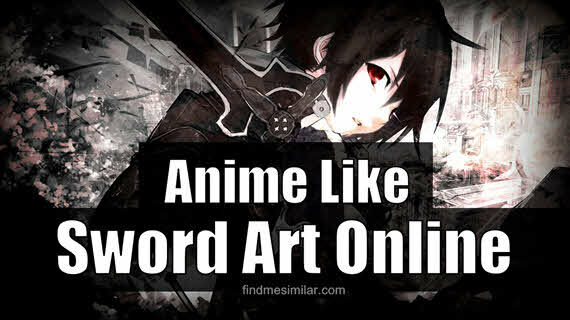 Top 10 Anime Like Sword Art Online '+g+"
If you have completed watching Sword Art Online anime (both 1 & 2) then the first thought that crossed your mind will be 'are there any more anime like Sword Art Online'. For all those who are craving for more anime that mixes the experience of both anime and MMORPG games we made a list of top 10 anime similar to Sword Art Online. Check out our anime list below. Log Horizon is an anime where 30,000 players suddenly find themselves trapped in a virtual game world of Elder Tales. The anime follows Shiroe who teams up with friends and forms a guild called Log Horizon and tries to survive the harsh game world. The life of an overweight kid named Haruyuki changes forever when he is introduced to a program called accelerated world by the prettiest girl in his school. The anime follows a young boy who wakes up in an island which resembles his favorite video game "Btooom". To survive in the strange island, he must now kill 7 other people and collect their gems. The anime follows Sora and Shiro, the best gamers in the world who were teleported onto another world by a boy named Teto, the god of the world where everything is decided with a game. A strange young boy named Tsukasa wakes up in an online MMORPG called "The World". Unable to log out from the game, he starts on an adventure to find out the answers. The anime follows Yukiteru Amano, a young boy who is given a dairy with the power to tell the future. With the help of this power, he must fight with others to become the successor of God. 7. Is It Wrong to Try to Pick Up Girls in a Dungeon? The anime is set in the world of Orario which possesses a large Dungeon filled with treasures attracting a lot of adventurers. The story follows a young adventurer and a lonely goddess hoping to reach their goals. Tower of Druaga: The Aegis of Uruk follows the journey a ragtag team consisting of Jil, Kaaya, Neeba, and others climbing the mysterious Tower of Druaga. Ouma Shu is a 17-year-old boy who accidentally obtains a rare and great power called "Ability of King" using which he can extract tools or weapons from his friends. A young man named Momonga is trapped within a video game world of Yggdrasil as a powerful skeletal wizard. With no family and friends, he decides to take over this new world. check out this list of recommendations for more anime like Overlord. What do you think about our list? If you thing we missed any other similar anime that should be on this list then let us know about it through the comments below.